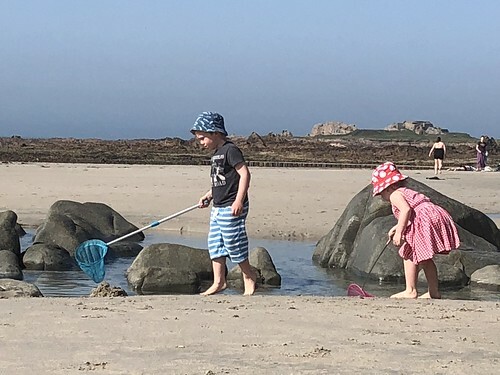 We have had the most glorious couple of days in Guernsey – it has been warm and sunny and just beautiful. These are the days I most appreciate living in Guernsey. After school we headed to the beach with friends so the children could play together and then we had fish and chips for tea. More moments of gratitude. More time to appreciate all the good things we have. More laughter and smiles. We are so very fortunate to have all of this. The children and I popped into a local careers fayre – mainly to collect freebies! 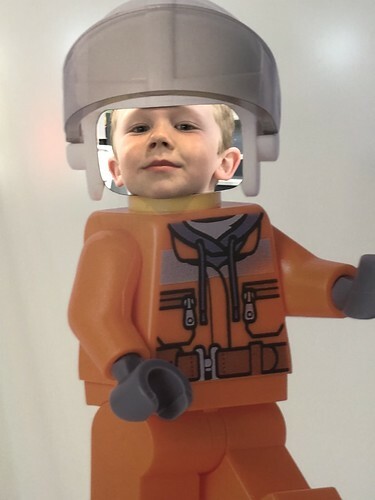 The Little Mister fancied himself as a Lego man though. 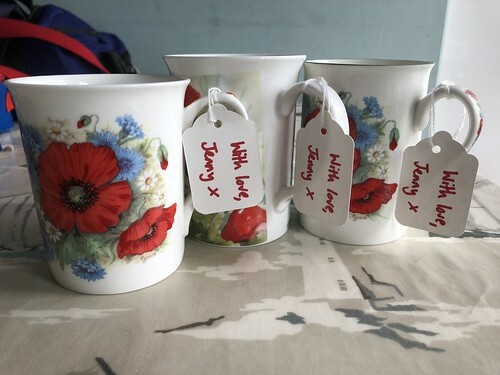 Auntie Jenny loved poppies and she collected loads of china mugs. She always told me that at her funeral she intended for people to take one with them as a memory of her. Here is my collection, one for me and The Mister and one for my sister. I will always think of Auntie Jen when I am drinking a cuppa! Today was my lovely Auntie Jenny’s funeral. It was the most beautiful sunny day and they interment and service were so lovely. The service was wonderful and it was absolutely packed. When we arrived half an hour before the start it was already standing room only. I was so very proud of my cousins who gave a lovely tribute to their Mum and my Auntie who gave her own memories of her twin sister. I was doing OK until she started ‘Jen and I came as a pair’. At that point I struggled to hold it together. One of the things I appreciated the most about today was spending time with my family. We get together as often as we can, and whether it is for a happy or sad occasion I am always pleased to see my aunts and uncles and cousins. 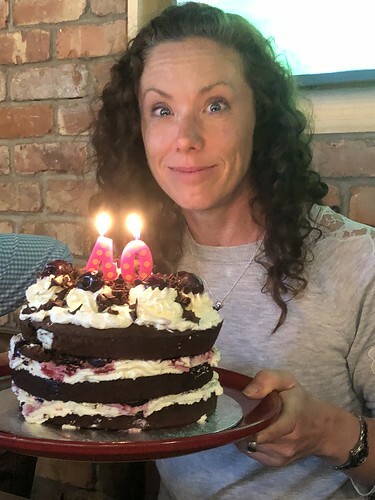 I picked the kids up at lunchtime from school and took them to the house for cake so that they could feel part of the whole experience. It was especially nice to see them haring about the garden and swinging on the swing seat. I am constantly grateful for my family and the fact that we are able to share all the good and the bad things together. I appreciate having so many people I can go to for comfort and laughs and I know that together we are able to get through all things. This photo is of my Mum, Auntie Josie and Auntie Jenny. 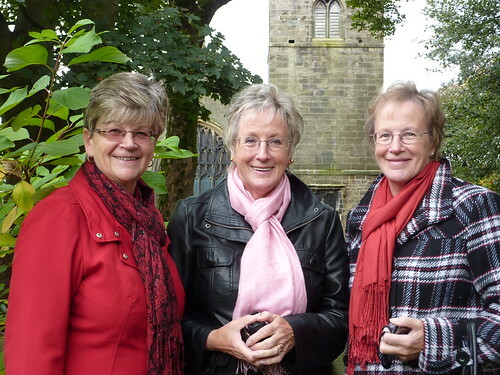 It was taken in October 2010 when they came to visit us in Yorkshire and was taken on a day out to Howarth. I love it. So many wonderful memories of my Mum and aunts, and I am so happy that my life has been characterised by wonderful, strong, determined, brave, generous, kind and compassionate women. I am blessed. 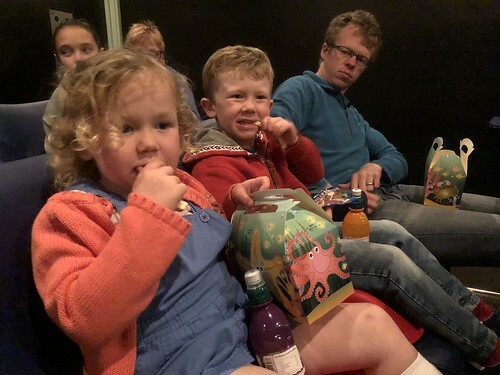 The weather wasn’t so great so we took the kids to the cinema to see Peter Rabbit. They quite enjoyed it but I thought it was absolutely hilarious and I cackled all the way through. 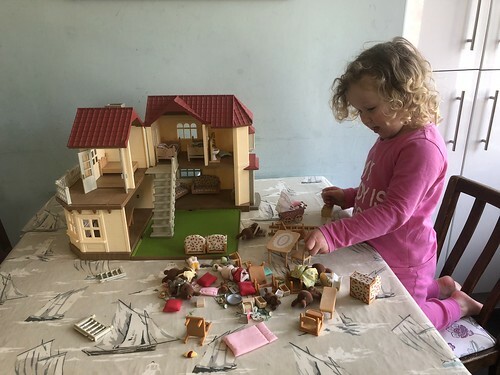 The Little Miss absolutely loves playing with Sylvanian Families. I loves listening to her making up stories about what they are up to, and early always she chats away about one being the Mummy and Daddy. It’s very sweet. I went and picked up this house for her from a local selling site. She was a happy girl. I have a bit of a love affair with Ercol furniture. Unfortunately I need a bigger house to put it all in! 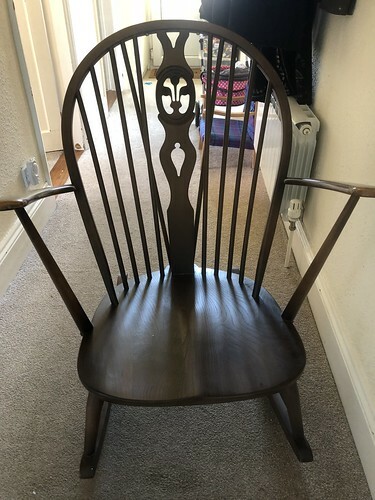 I bought this lovely rocking chair from a local junk (or treasure!) shop. It still has the original cushions but the foam has completely perished so I will need to replace them. 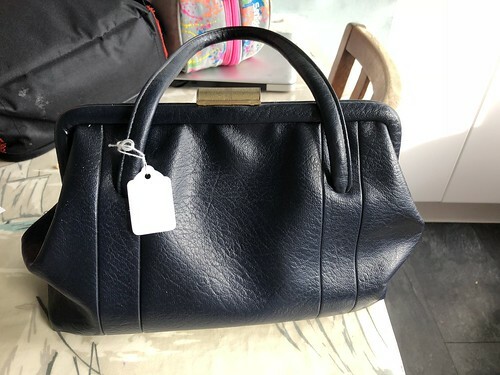 Today I bought this handbag from a local charity shop. It will be perfect for the Hangar Ball in May. My favourite event of the year! 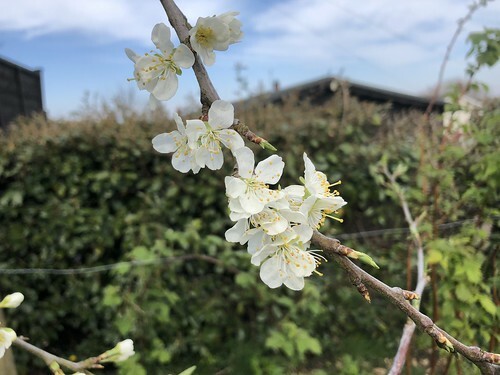 Even the Victoria Plum tree is blossoming. I am hoping for more fruit this year and fewer caterpillars!